Karachi: Syed Murad Ali addressing in Sindh Assembly here on Friday. 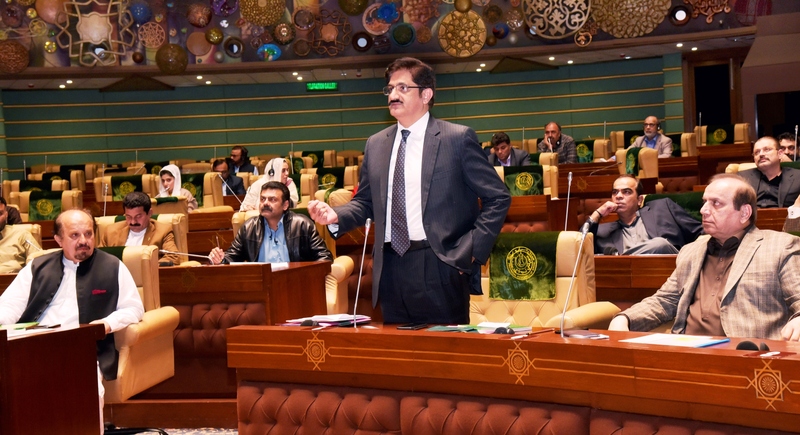 KARACHI (ENN) Sindh Chief Minister Syed Murad Ali Shah through a DO Letter to prime minister of Pakistan has conveyed the deep concern over the incessant and prolonged gas outages across the province of Sindh, which according to him is the largest contributor to nationwide gas production. Murad Shah further wrote in his letter that the production of gas from Sindh is between 2700-3000 mmcfd and against that Sui Southern Gas Co is supplying less than 1200 mmcfd to Sindh. Quoting Article 158 of the Constitution, Mr Shah said that the people of Sindh have priority over the 3000 mmcfd of gas produced in Sindh. The Sindh chief minister requested the prime minister to indulge in the matter and direct concerned Ministry for regular supply of gas to the Sindh Province as per their requirement and in line with Article 158 of the Constitution, the letter ends.